One hundred and fourteen governments have made commitments to restoration as part of their overall plans to tackle a changing climate, pledging to restore 162 million hectares (400 million acres), an area six times the size of the United Kingdom. But transforming land use at a large scale means that we cannot rely on public or philanthropic resources alone. To reach the $26 billion needed each year to meet countries’ pledges under the Paris Agreement, the private and commercial sectors need to be involved. One barrier to attracting the needed funds has been lack of awareness of the investment opportunities. Investors ask, what are the business models? How can restoration generate a return on investment? What is the growth potential? Originally published on the World Resources Institute Website. Topher White spends a lot of time walking in—and thinking about—the forest, and how quickly we’re losing it. So much so that he’s gotten a black eye from being smacked by flying tree branches. But that’s just a small example of what the engineer is willing to endure to stop global deforestation. Founder of the San Francisco-based nonprofit Rainforest Connection, White has developed a simple but ingenious strategy: using old cell phones to listen for the sound of destruction. Forests are disappearing worldwide, and fast: Swaths half the size of England are lost each year. 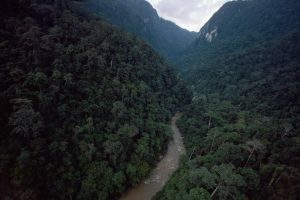 The Amazon has lost close to one-fifth of its rain forest cover in the last four decades. Forest loss not only harms wildlife, including many species that live nowhere else, it’s a big contributor to the greenhouse gas emissions that stoke climate change, accounting for about 17 percent of the world’s annual total. Originally published on the National Geographic website. Originally published on the World Economic Forum website. A new study looks at five major impacts of climate change, the sectors and the people most vulnerable. Almost 750 million people in South Asia were affected by floods, droughts, extreme rainfall, heat waves and sea-level rise — all impacts of climate change or worsened by it — in the first decade of this millennium, according to new research by the International Water Management Institute (IWMI). Agriculture was the sector most vulnerable to these impacts, authors of the report found. The Indo-Gangetic plain was at maximum risk. The causes and effects of these disasters have been studied sporadically in the past. Now the authors of this report have applied a consistent methodology to study them, including assessment of the population affected along with agricultural losses. The study has used spatial data and customised tools. The authors — Giriraj Amarnath and Niranga Alahacoon of IWMI; Vladimir Smakhtin of the United Nations University, Institute for Water, Environment and Health in Ontario, Canada; and Pramod Aggarwal of the CGIAR Research Programme on Climate Change, Agriculture and Food Security — carried out regional, country-wise and sub-national assessments of the five climate-related risks. They did this by overlaying climate hazard, sensitivity and adaptive capacity maps, following the vulnerability assessment framework of the Intergovernmental Panel on Climate Change (IPCC). With this, they developed a combined index based on hazard, exposure and adaptive capacity to identify areas susceptible to extreme risk. The study used data on the spatial distribution of various climate related hazards in 1,398 sub-national areas of Bangladesh, Bhutan, India, Nepal, Pakistan and Sri Lanka. 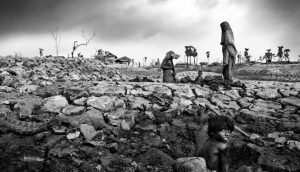 An analysis of country-level population exposure showed that approximately 750 million people are affected by combined climate hazards. Of the affected population, 72% is in India, followed by 12% each in Bangladesh and Pakistan. The remaining 4% are spread across Bhutan, Nepal and Sri Lanka. Originally published on the India Climate Dialogue website. International charity Oxfam is leveraging new technologies to spread the word about crises happening around the globe, as well as exploring the use of 3D printing, drones and internet of things sensors as new ways of delivering aid and solving problems in the developing world. 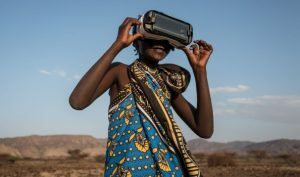 On Tuesday, Oxfam is set to launch a virtual reality film called Evelyn’s Story, allowing viewers to experience the arduous journey of an 11-year-old Kenyan girl searching for water in the drought-ridden Turkana county. When Oxfam filmed the short film (which was made in conjunction with the Sydney-based production company Flimgraphics and Alt VFX), the young girl’s family could only get access to clean water for about two hours every eight days, so were often forced to risk diseases such as diarrhoea and cholera, using whatever they could find. Oxfam Australia director of public engagement, Pam Anders, told The Australian Financial Review it was the first time it had used virtual reality, but if it goes well it will continue to use them to help show what it is trying to achieve. 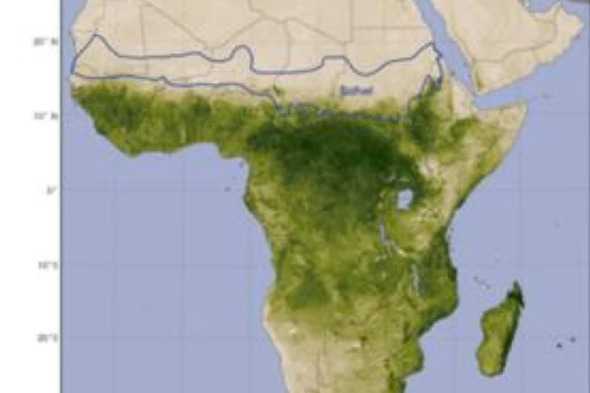 A quiet, green miracle has been growing in the Sahel . Leaves serve other purposes. 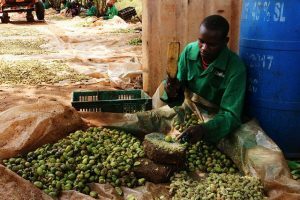 After they fall to the ground, they act as mulch, boosting soil fertility; they also provide fodder for livestock in a season when little other food is available. In emergencies, people too can eat the leaves to avoid starvation. Some analysts attributed the rise in water tables to an increase in rainfall that occurred beginning in 1994, Reij added, “but that doesn’t make sense—the water tables began rising well before that.” Studies have documented the same phenomenon in some villages in Niger, where extensive water-harvesting measures helped raise water tables by fifteen meters between the early 1990s and 2005.